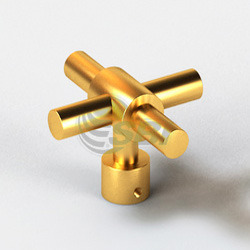 Owing to our expertise in this domain, we have been capable of manufacturing a Brass Bathroom Handle for the clients. These handles are designed and manufactured by dexterous professionals, making use of optimum quality brass material and technically advanced machines. In addition to this, it is the duty of our deft professionals to design each handle with set industry norms and guidelines.